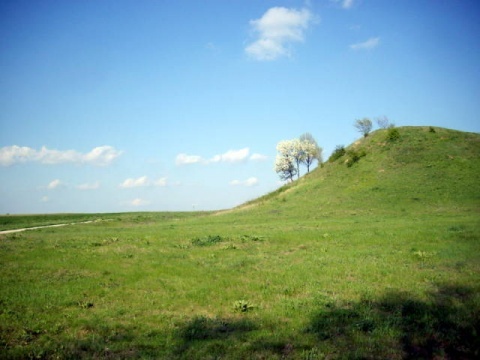 BULGARIE - Sboryanovo - Over the year, Bulgarian archaeologists have made important new discoveries about the Thracian Tomb of Sveshtari, announced archaeologist Prof. Diana Gergova. Among the most amazing discoveries was the fact that a golden casket discovered last year was placed on a powerful living tree in one of the tombs. In ancient pagan Europe, strong trees were symbols of life and growth, and links between the terrestrial realm and the realm of gods. "This mound is really unique compared to the other mounds in the site. Within it, we found new data for animal sacrifices, too," said Gergova, as quoted by the Focus Radio. Gergova argued that the important findings in the area mandate the creation of a museum at the site to display some of the items and tell their story. The Sveshtari or Sboryanovo Thracian site was first discovered in 1982, nearby the Muslim holy site Demir Baba Teke near the town of Isperih, in Bulgaria's northeaster Razgrad region. The facilities at the site have been left by the Getae, whose major city of Helis is believed to have been located nearby. In 2012, archaeologists retrieved a major golden treasure at Sboryanovo. FRANCE – Caudan - Dans le cadre de la réalisation d’une zone d’activités à Caudan, deux sites archéologiques ont été mis au jour : l’un datant de l’âge du bronze, l’autre du haut Moyen Âge. Les fouilles sont en cours. Hameau et ferme: La zone d’aménagement concerté (ZAC) de 30 hectares est située à Lenn Sec’h, à Caudan. Un sondage préalable a permis de mettre au jour deux sites. Le premier recèle des trous de poteau attestant l’existence d’un hameau de bâtiments circulaires. Il date de l’âge du bronze, voici 3 000 ans. C’est le premier découvert en Bretagne. Séchoirs et silos: Le deuxième chantier est concentré sur une ferme datant du haut Moyen Âge. Elle s’étend sur un demi-hectare et s’il reste peu d’objets, les archéologues ont retrouvé des traces de séchoirs à grains et de silos creusés dans le sol. Deux équipes: Deux équipes de sept archéologues de l’Inrap (Institut national de recherches archéologiques préventives) travaillent sur ce chantier de fouilles depuis la mi-septembre. Il se terminera à la mi-novembre. À cette date, un troisième site, datant du Néolithique, sera quant à lui confié à une équipe départementale. PEROU - Huaca Partida - A professor at Japan's Kobe City University of Foreign Studies has discovered reliefs depicting a man and a bird of prey dating back to about 3,000 years ago at the remains of a temple in northern Peru. Koichiro Shibata, an associate professor who specializes in Andean archaeology, made the find during an excavation conducted from August to September at the Huaca Partida ruins in the north-west of Lima. The relief is believed to be 3 meters high and 2 meters wide, reports Japanese newspaper The Yomiuri Shimbun. Reliefs in ancient Andean ruins are often found in large temples and believed to have religious significance. Few survive, as they are made of clay and are highly vulnerable to the weather. However, the temple is relatively well preserved, as it was covered with stones when another temple was built on top of it in a later age. “[Part of the reliefs] clearly show their positions and combinations, which help us understand the worldview that ancient Andeans belived in,” said Shibata. TURQUIE – Zeugma - Researchers working on the ancient city of Zeugma in the southeastern province of Gaziantep have discovered new Roman-era houses, the head of the excavations has said on the occasion of the end of this year’s digging season.“We see an architectural layer between sixth century B.C. and the second century A.D. We have reached new data about the architecture of the late ancient period,” said Hüseyin Yaman.Excavations on the site began in 1987. 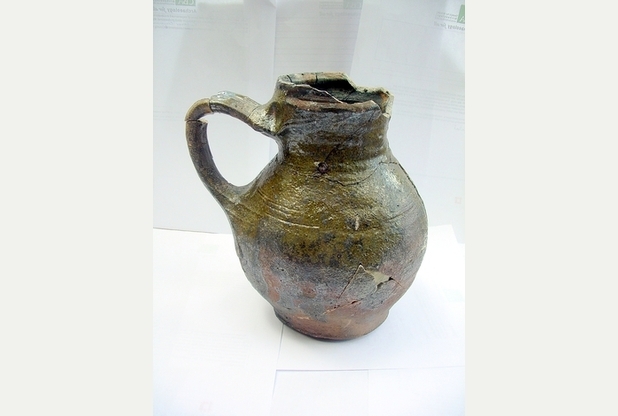 ROYAUME UNI – Croxton Kerrial - Amateur archaeologists have discovered a jug they believe was lost 700 years ago.The enthusiasts found the glazed jug and other artefacts after a volunteer stumbled over part of a medieval well. The accidental find was made during a dig to unearth a medieval manor house in Leicestershire which "disappeared" for three centuries. Members of Framland Local Archaeology Group (Flag) made the discoveries as they excavated the house in Croxton Kerrial, near Melton, which was last recorded in the 16th century and had disappeared from maps by the 1790s. 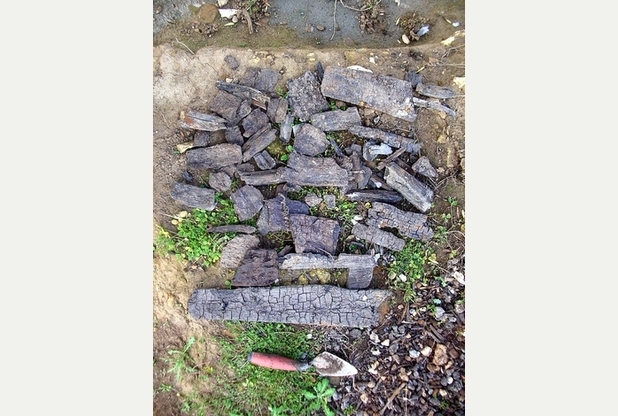 The team also found parts of a wooden bucket, a knife sheath end and a decorated strap end.The house, built in the 12th century, was given to Croxton Abbey in the 14th century. 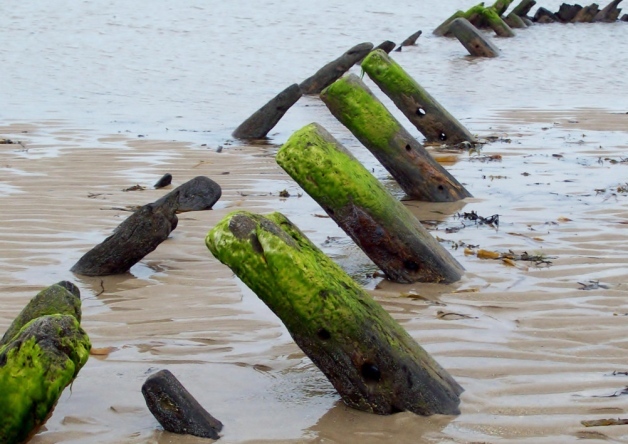 Records show it was uninhabitable by the 16th century.